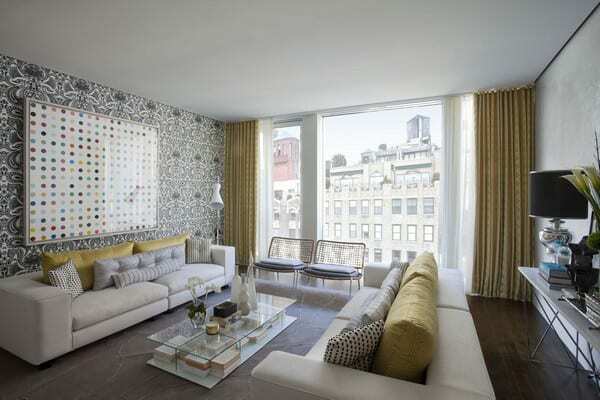 We are inspired by the unique wallpaper ideas in this New York City apartment. They have made some interesting choices worth noticing. 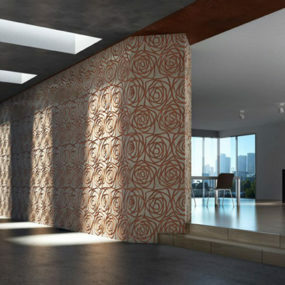 All the wallpapers are quite modern and inspired by the classical style. 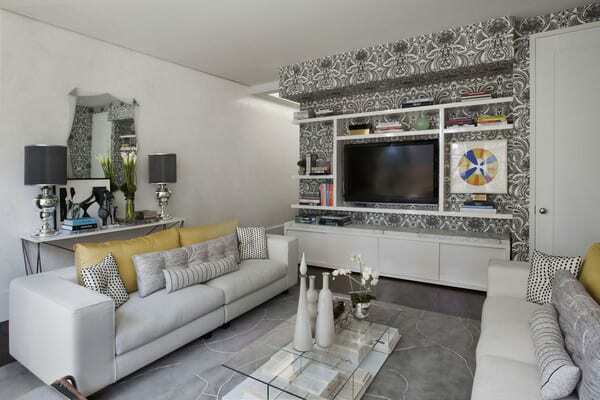 The black and white, highly patterned motif in the living room has such a wonderful effect in the room. It adds some excitement and really makes the polka-dot art work pop out. 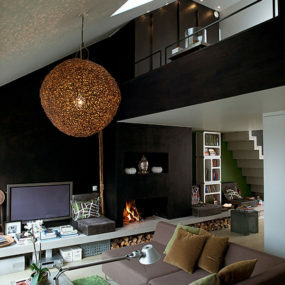 Interestingly, it has the contrary effect for the television, helping to blend it in. 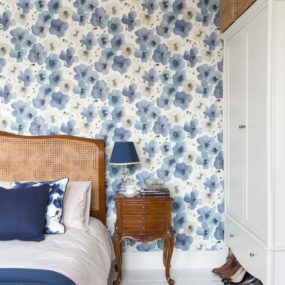 The beige wallpaper in the bedroom adds pattern to the space and enriches the blue hues. 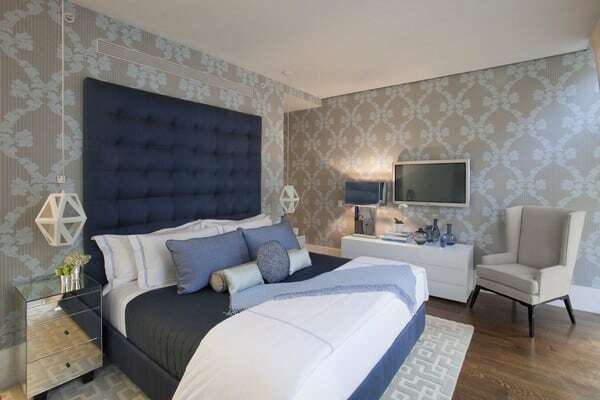 On a different note, the pattern in the second bedroom is white and sheen yet provides the subtle but necessary texture this room needs. 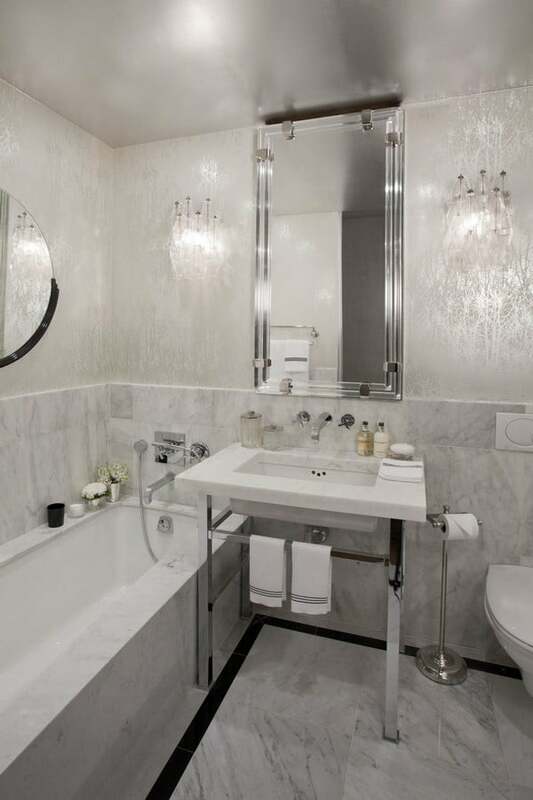 The glossiness of the wallpaper in the first bathroom gives it a glamorous vibe. 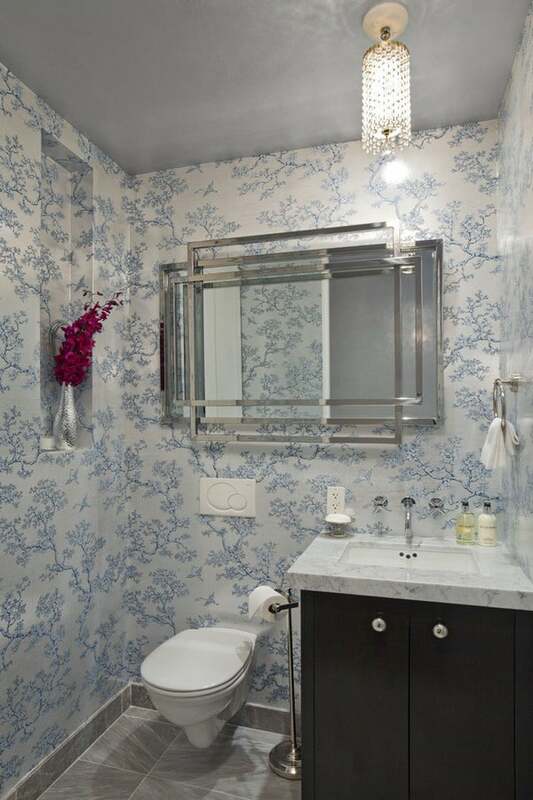 Additionally, the blue chinoiserie style paper in the second bathroom gives the room a chic French look. 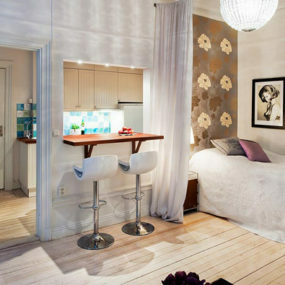 The wallpaper choices in this apartment are very well thought out. 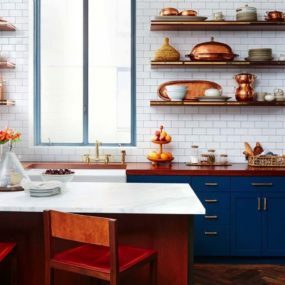 You can clearly see the effects that wallpapers can have and how they can enhance the feel of a room.